Naya Rivera and Ryan Dorsey are no longer married after their relationship was dissolved by Los Angeles Superior Court this week. Naya Rivera and Ryan Dorsey have finalised their divorced. The former 'Glee' star's tumultuous marriage with the 34-year-old actor was officially dissolved by Los Angeles Superior Court this week - two years after the brunette beauty first filed the legal papers - and they have both agreed to share joint custody of their two-year-old son Josey, according to documents obtained by The Blast. It's also believed the former couple have waived the right to financially support each other. The divorce comes six months after Naya was arrested for allegedly hitting Ryan in an argument over their little one during Thanksgiving weekend in Chesapeake, West Virginia. Ryan called the police on the 31-year-old actress but the domestic battery charge was later dismissed after the hunk decided he didn't want to press charges anymore. Ryan previously posted a statement about the alleged domestic battery incident on his social media accounts, where he asked for ''positivity and love'' during this ''difficult time''. However, a week after the alleged incident, Naya refiled for divorce, citing ''irreconcilable differences''. The refiling came just two months after she'd called off their divorce proceedings when the pair - who wed in 2014 - reconciled following their split in November 2016. After papers were filed in 2016, they released a joint statement in which they said they would continue to be ''great co-parenting partners'' for their son. 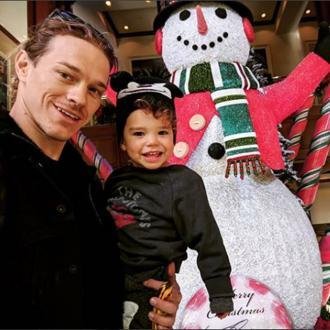 Naya Rivera and Ryan Dorsey call off divorce?